Venezia is one of those cities that sweeps you away. It’s one of the most beautiful in the world. Which means it’s also full of tourists all year long. Which means it’s also full of tourist traps. And if there’s one thing I can’t stand when I visit a beautiful city is ending up in one of those. So the question is, where to eat in Venice? 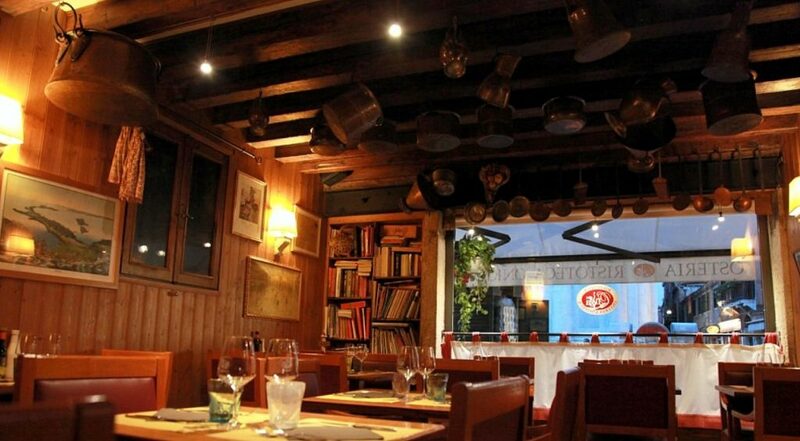 Located in Campo San Barnaba in a quiet area of Venice, where the gondolas cruise the small canal, is this delicious Venetian and Mediterranean cuisine restaurant. What struck me immediately at Ristoteca Oniga? Its decor! The dining area is filled with beautiful glass-colored wine bottles hanging from the ceiling. While the walls are filled with paintings and small shelves stacked with books. The coolest thing though is the coutlery, made out of recycled materials! But it’s not just the cozy decor that gets you right away, the charming atmosphere sets the tone for a delicious meal. At Ristoteca Oniga there is a seasonal menu which changes daily according to the availability of fresh products. Everything at this restaurant is cooked with the best organic ingredients, and trust me, you can taste the difference! The tris tartare is a must, as well as the spaghetti with shrimps! Not to mention the desserts: the pannacotta al cioccolato and the strudel di mele e pere are delightful! Make sure to make a reservation! 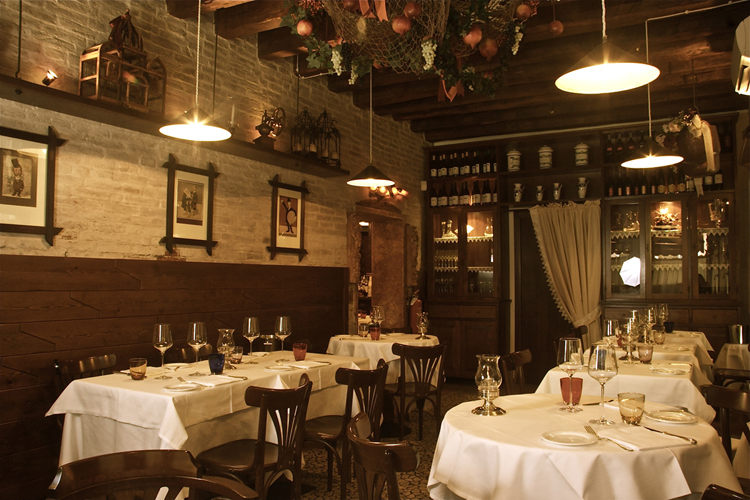 Located in the heart of Venice, just a footstep away from the iconic St. Mark’s Square, this restaurant serves excellent dishes of the traditional Venetian cuisine. 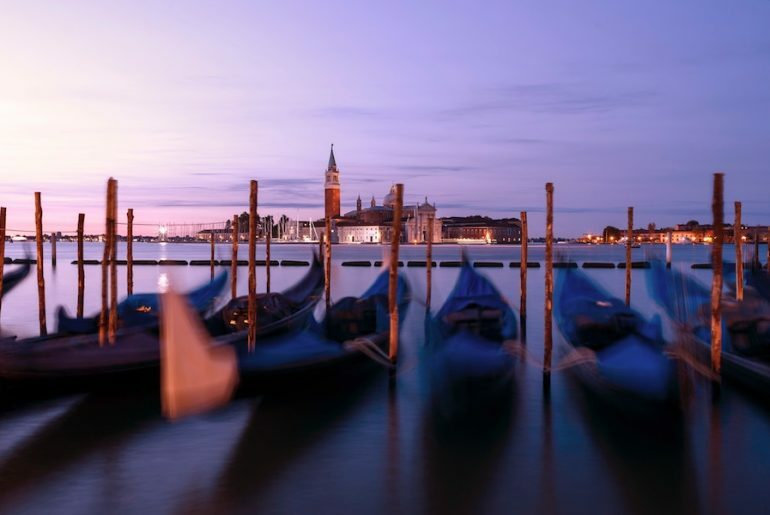 Overlooking the Grand Canal, facing Punta della Dogana and the Basilica della Salute, Hotel Monaco & Grand Canal’s restaurant offers breathtaking views of Venice. 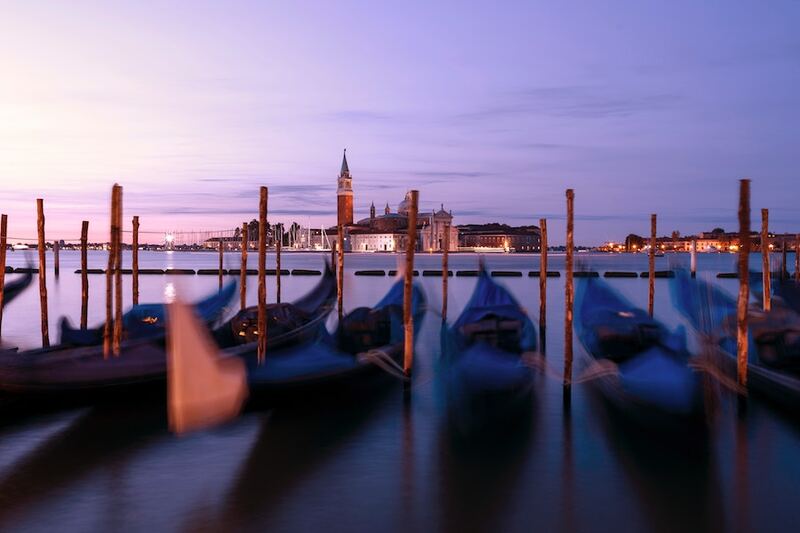 The setting is elegant and intimate, with beautiful windows overlooking the Grand Canal. 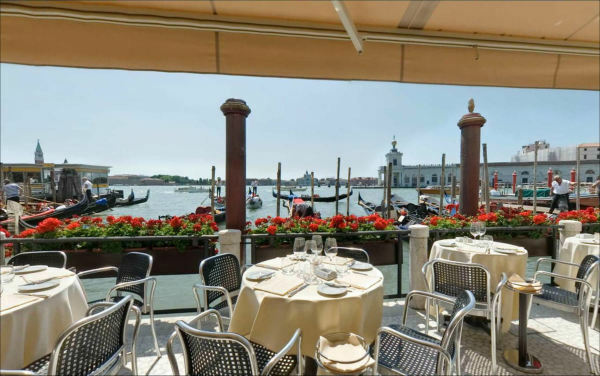 But the true surprise is the fabulous panoramic terrace with stunning views of St. Mark’s Basin. The food is up to the view. From the pilgrim scallops with black truffle and topinambur sauce to the wholewheat spaghetti in a light anchovy sauce and the venetian fish risotto everything in this restaurant is going to make your taste buds tingle. Don’t forget to make a reservation! 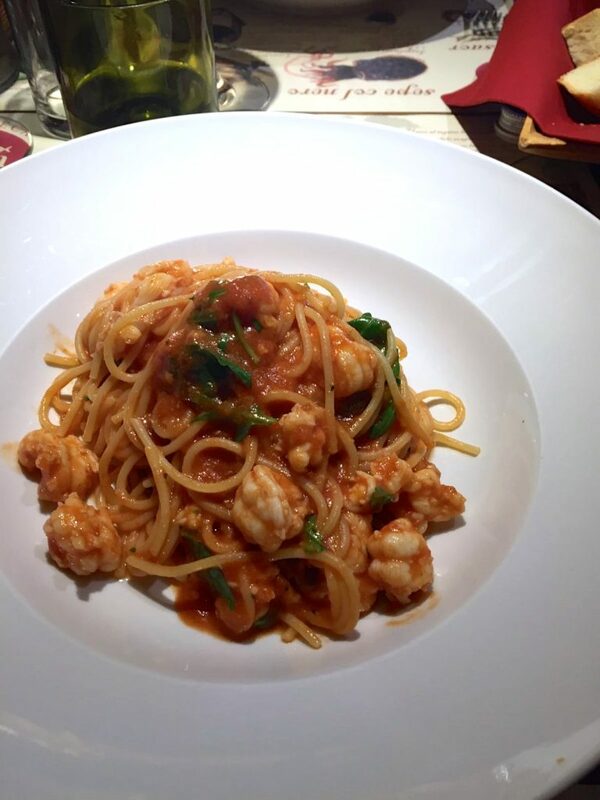 Situated in the central yet quiet area of Bragora, not far from St. Mark’s Square, Al Covo is an exquisite restaurant where you will taste outstanding seafood dishes. The wood-beamed ceilings, the dimmed lights and the contrast between the bricked and soft-colored walls creates a cozy ambiance. And to add to the warmth of the restaurant is the kind and professional staff, along with the smiles of the owners. The food is absolutely excellent. If you want to taste fresh seafood and delicious local recipes with a contemporary twist, you are definitely in the right place. 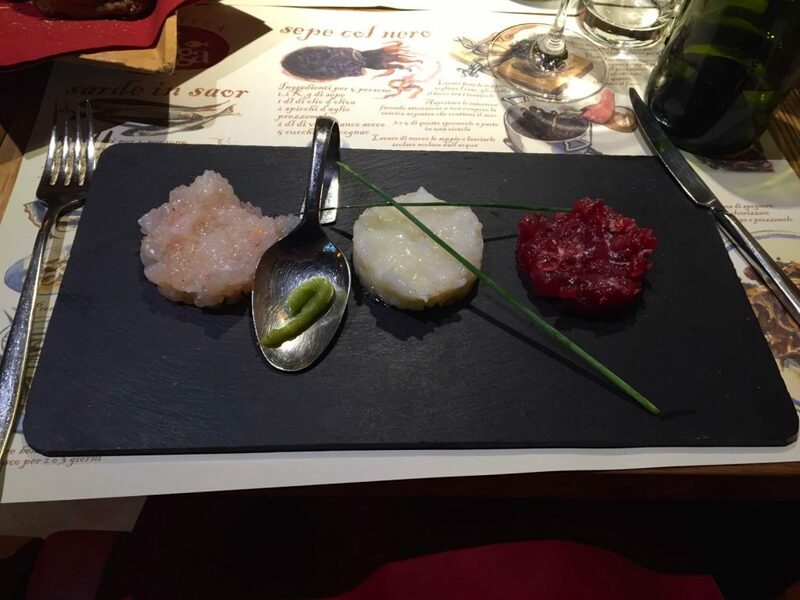 To start off, the tartare di orata or the scampi crudi al prosecco are outstanding. 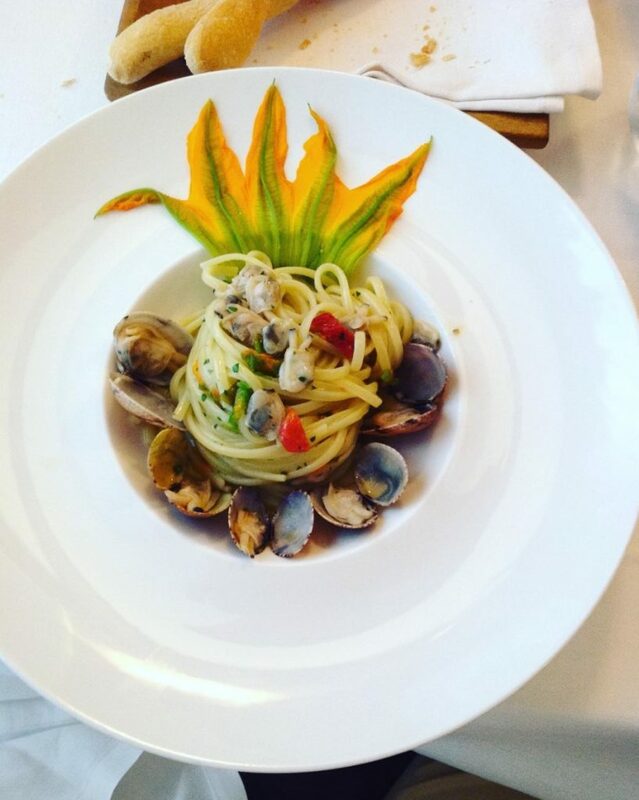 While for a first dish I would go for the special pasta plate of the day, or with the spaghetti alla vongole e seppioline alla veneziana. If you prefer meat, the tagliata di manzo is tender and cooked to perfection. To accompany your meal there is an excellent wine selection, and to finish off, either some outstanding desserts made by Diane, or a selection of remarkable cheeses and honey. 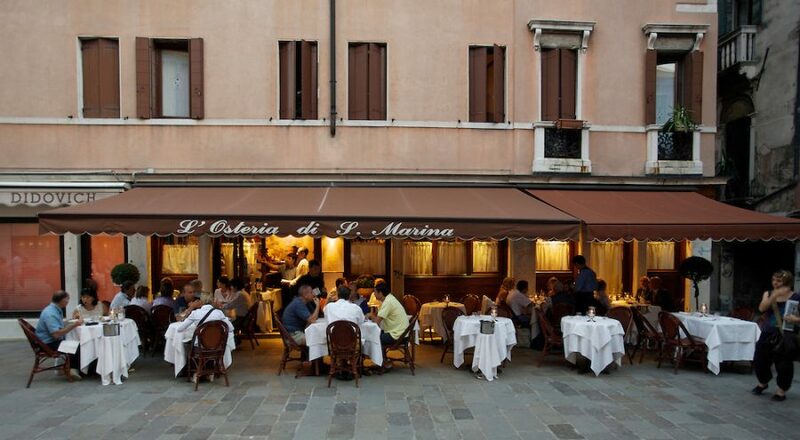 Situated in the Castello district, not far from the Rialto Bridge, L’Osteria di Santa Marina is a divine seafood restaurant that combines creativity, tradition and high quality products. 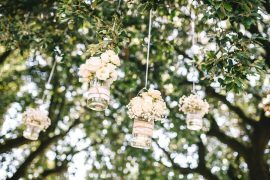 The setting is elegant and intimate, with dimmed lights and soft-bricked walls that set the perfect tone. But what truly distinguishes L’Osteria di Santa Marina from the rest is the ability to transform traditional Venetian recipes into works of art. From the freshness of the products, to the variety of dishes that you can order from, dining at this restaurant will allow you to truly embark on a culinary journey. The menu at L’Osteria di Santa Marina changes each season, so if you are uncertain ask the service to direct you towards the right dishes. 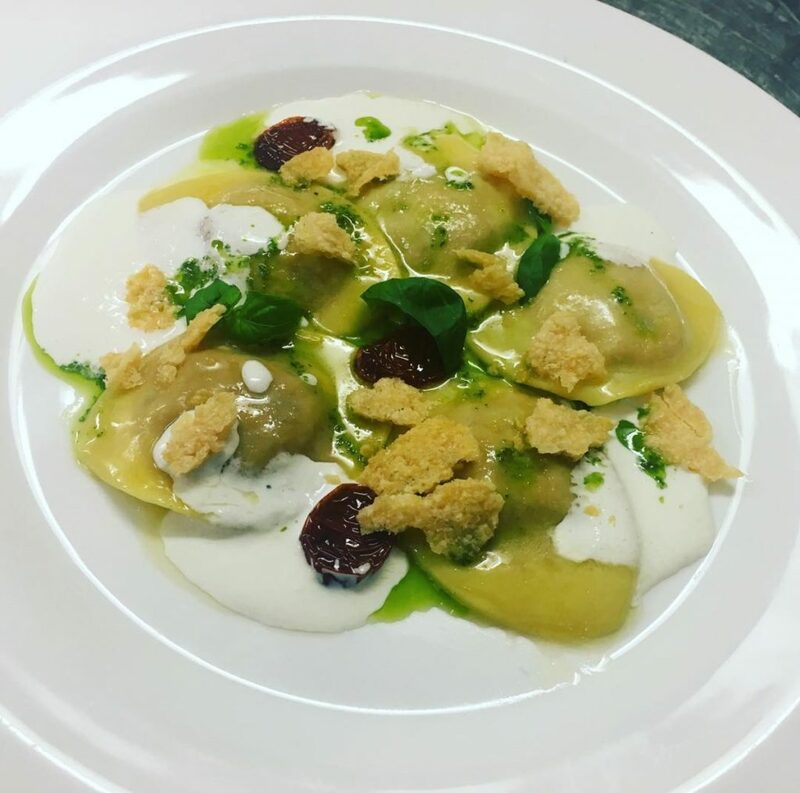 The crudi di mare are extremely fresh, the Gnochetti with cuttlefish ink and seafood ragout and Turbot parcel with artichokes and new potatoes are a must, as are the eggplant ravioli with shrimp. Don’t forget to make a reservation. 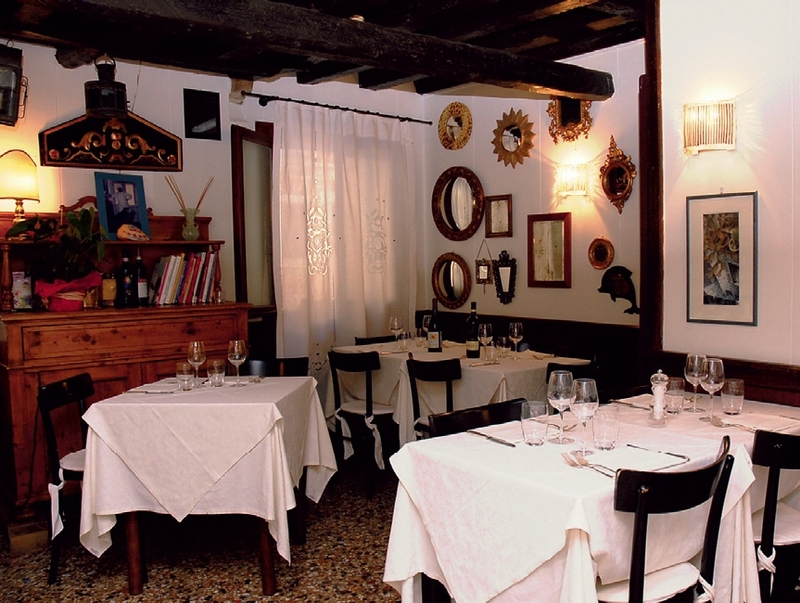 Trattoria Antiche Carampane is a charming trattoria tucked away from the bustling streets of Venice, hidden in the San Polo district. As you step inside, you will be immersed in a toasty atmosphere and greeted by the kind staff. 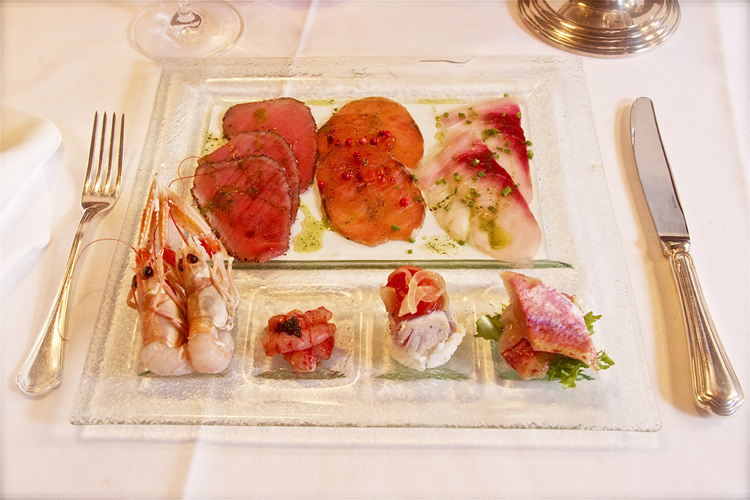 Trattoria Antiche Carampane is the place you to go when you want diving seafood. 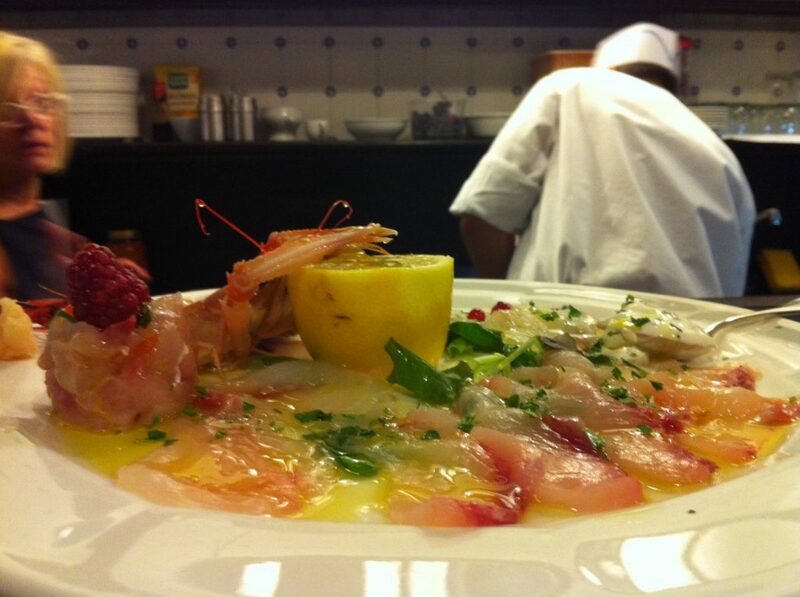 The menu changes daily according to the catch-of-the-day, so of course, if you are a raw fish lover, the crudi di mare are a must, they don’t get any fresher than this! The outstanding tagliolini del doge with spider crab are impeccable, just like the fritto misto delle carampane. Exclusive info on destinations, prices, post updates, travel inspiration, giveaways and free travel advice from me!